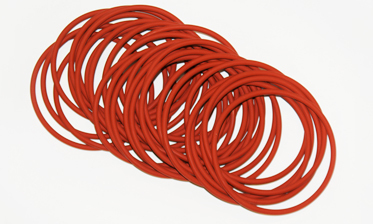 O-Rings are a very simple and an extremely cost effective sealing solution. It’s versatility and reliability make it the most frequently used type of seal worldwide. O-rings are utilised within all kinds of applications from Static sealing in sub-zero temperatures to Dynamic sealing in temperatures exceeding 300°C . Due to the O-Rings simple design they prove quite easy to produce and therefore there is a huge range of dimensions available. At SealXpress we offer O-Rings conforming to all the below dimensional standards. To further supplement our extensive stock range we can also offer O-Rings manufactured to fully meet customers unique specifications. (Please contact us for information regarding our bespoke O-Ring offering). Our standard materials are available on an Ex/Stock basis from our Central England base. These materials are available upon request, please ask for information.